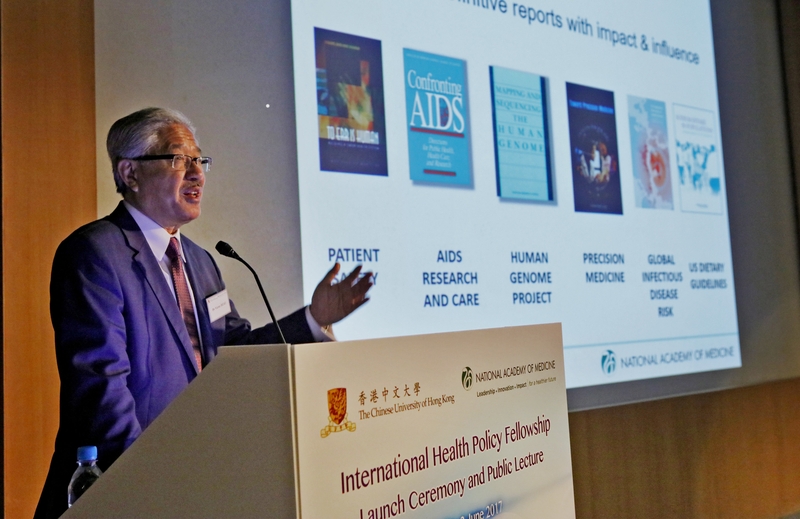 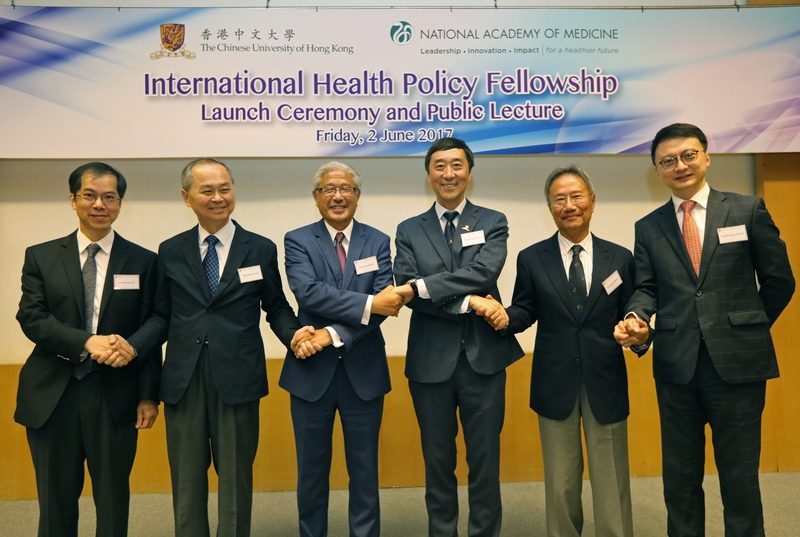 Time: 11:45 a.m. - 12: 45 p.m.
(From left) Dr. Derrick Au, Prof. Fok Tai-fai, Dr. Victor Dzau, Prof. Joseph Sung, Dr. Edgar Cheng, and Prof. Francis Chan officiate at the Launch Ceremony of International Health Policy Fellowship. 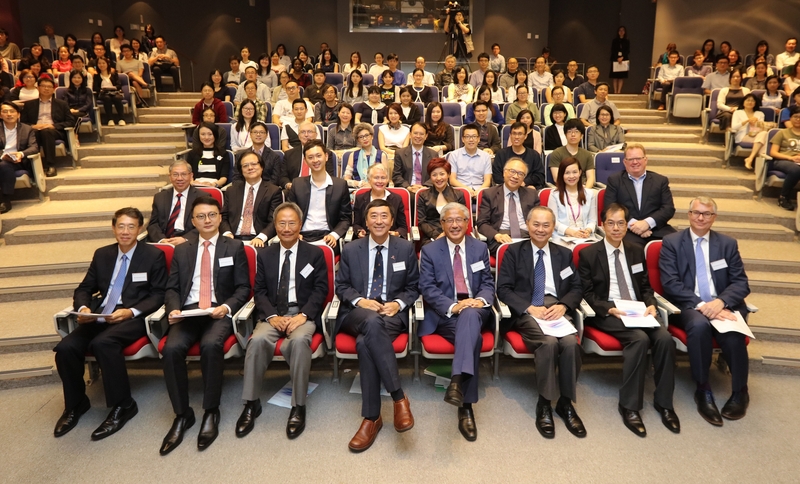 Prof. Joseph Sung, Vice-Chancellor and President of CUHK delivers an opening address. 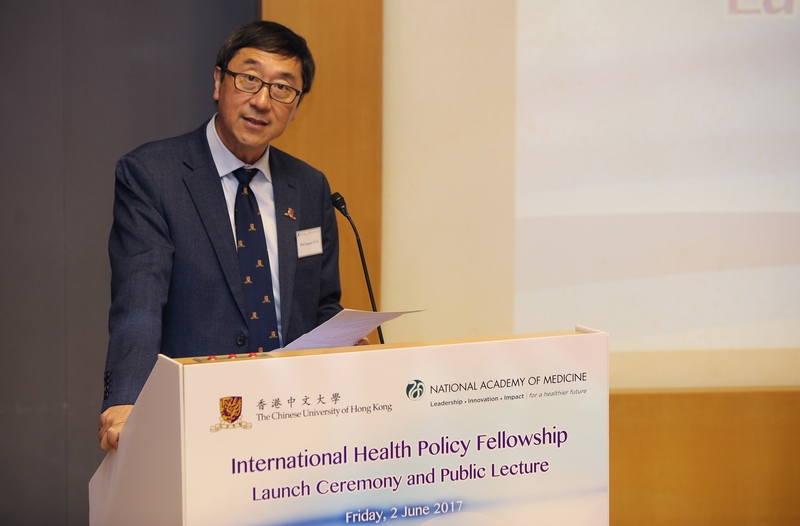 Prof. Francis Chan, Dean of the Faculty of Medicine, CUHK delivers a welcome message. 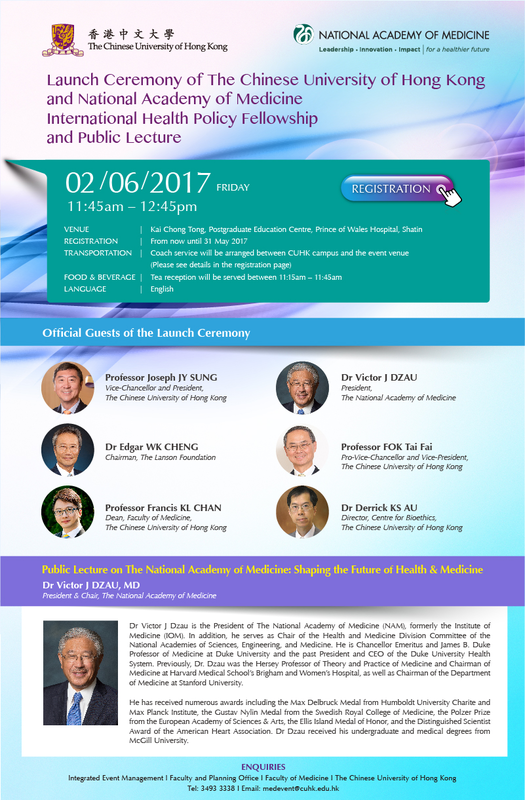 Dr. Victor J. Dzau, President, The National Academy of Medicine delivers a public lecture on 'The National Academy of Medicine: Shaping the Future of Health & Medicine'. 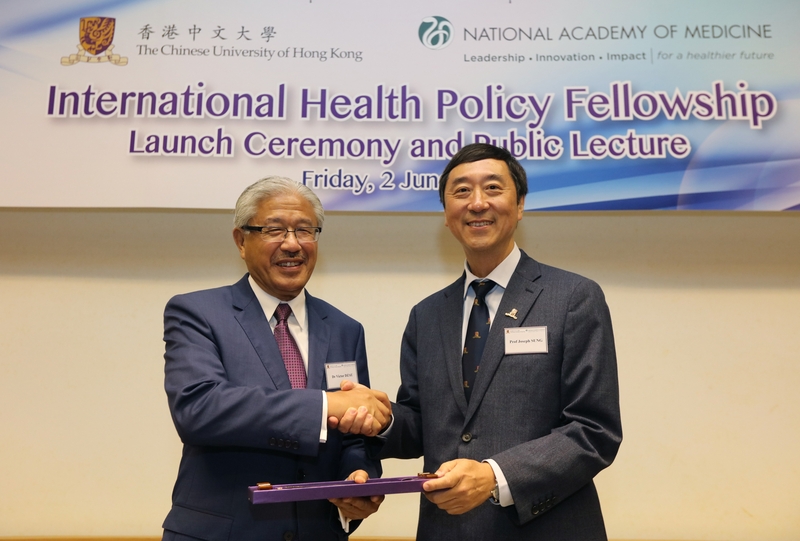 Prof. Joseph Sung (right) presents a souvenir to Dr. Victor Dzau. 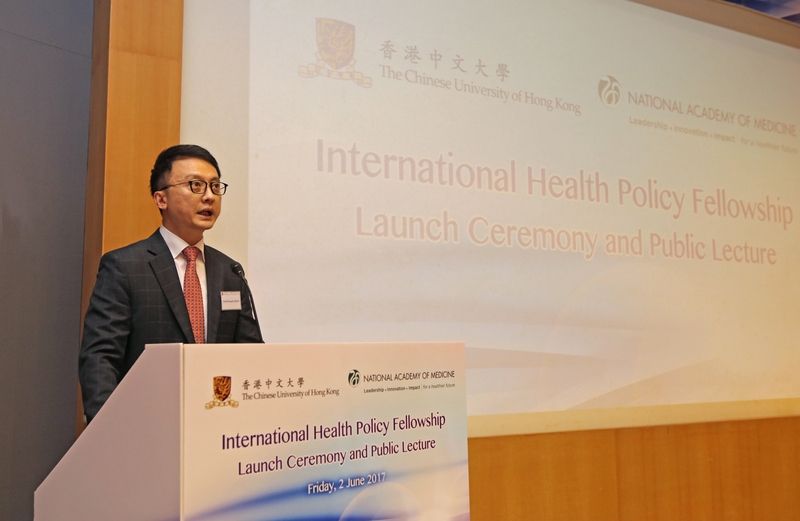 Over 150 guests and students attend the Launch Ceremony of International Health Policy Fellowship.